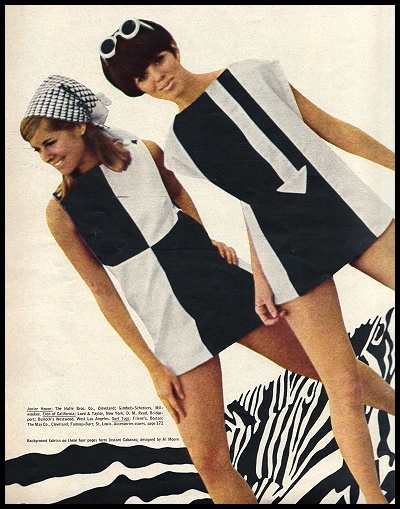 Arrows were prevalent in Mod fashion during the sixties. Comparing it to the conservative fifties, the prints were dynamic and striking. You could also link it to the blending of gender roles when women started to work without a family to support and which left them with disposable income. Either way you look at it, they definitely made a statement.